"The tide of evil has receded and our heroes and villains can finally hang up cape, cowl, and spandex undies. With life returning to normal, what's next for your town? A random set of summer sports? An invasion by doppelgangers from another dimension? The arrival of a brand-new outlet mall? Only Time will tell! Sorry, I meant Tim, the guy we pay to write this stuff." ―Old update description on app stores. "The documents were swapped, the messages decoded, and the world was saved (well most of it)! Now it's time to put away the shoe phones, pen blow darts, watch cameras, and other mail-order gadgets, and get back to civilian life in Springfield. But what could be next for your town? A face-paint focused collegiate experience? A temporal trip? A quicky wedding? 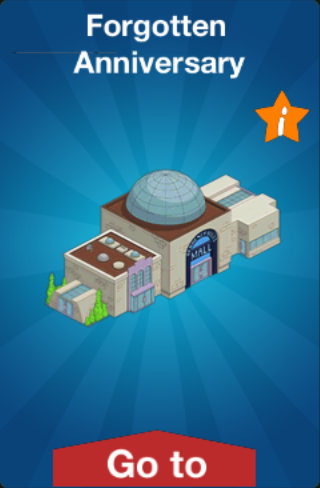 Stay tuned for more characters, buildings and stories coming soon!" 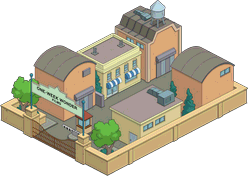 The Simpsons: Tapped Out Forgotten Anniversary content update was released on May 24th, 2017, and is the one hundred and forty-ninth content update. The update ended on May 30th. 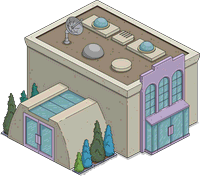 It added 3 new buildings and 1 decoration. It's a preview to the Time Traveling Toaster event that started on May 30th, 2017. Heavenly Hills Mall 60 6s Helping Jesus Save Unlocks Heavenly Hills West Wing and Heavenly Hills East Wing. 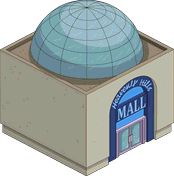 Heavenly Hills West Wing Unlocks with Heavenly Hills Mall. 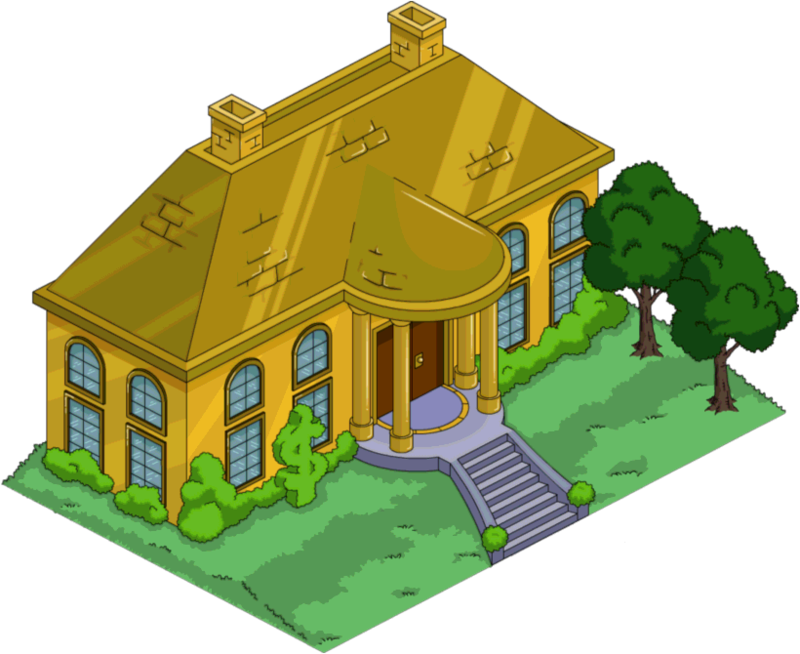 Mansion of Solid Gold 250 4,000,000 6s Gold Panning in the Bathtub Rebate: 125. 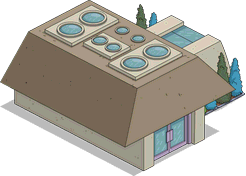 Returns from Level 42's Gil's Offer, Springfield Heights and The Most Dangerous Game. Vermouth Goes in a Martini Returns from Springfield Heights and Springfield Heights Chapter 2. 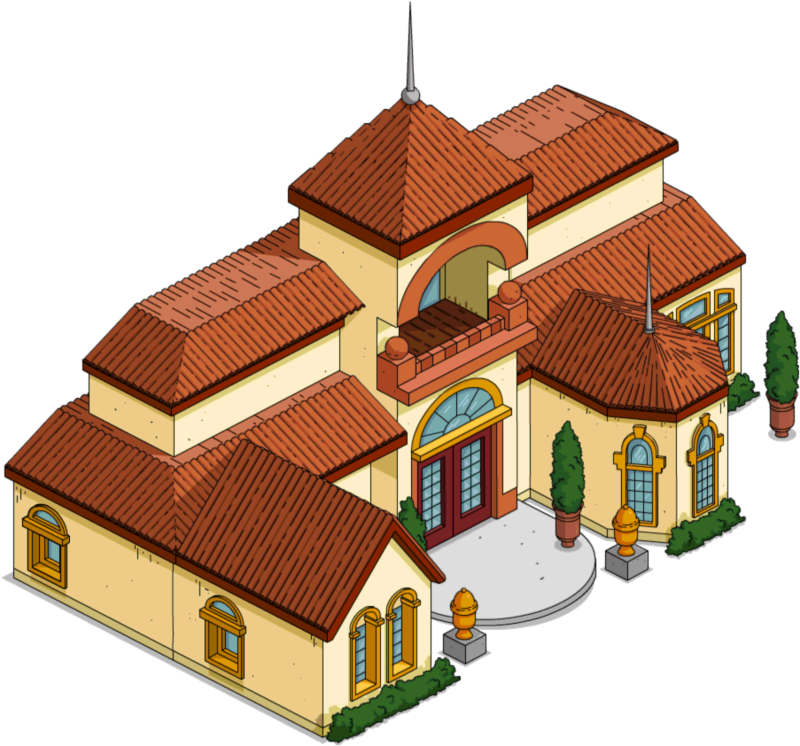 Krusty's Mansion 115 1,750,000 Taking Out Additional Mortages Rebate: 25. Returns from "Clown in the Dumps" episode tie-in and Springfield Heights. One Week Wonder Films 100 4h Seeking the Next Big Summer Movie Rebate: 30. Returns from Superheroes and The Most Dangerous Game. 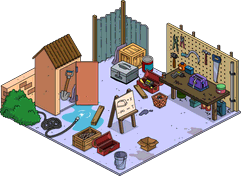 Homer's Workbench Free Unlocks after starting The Time Traveler's Wife Pt. 2. Statue of Burns 50 Rebate: 30. Returns from Springfield Heights, "Every Man's Dream" episode tie-in and The Most Dangerous Game. Homer's Workbench Treehouse of Horror V - "Time and Punishment"
Hey look! There's a new fat, bald loser in town. What's your name, you obvious idiot? I'm you, Homer, from the future! I come with a warning of utmost importance! Alright, pal, keep my pants on. What's the ruckus? And why the orange skin? Never mind that. You will soon forget your anniversary, but it is imperative that you not travel back in time to fix it. Why not just warn me to remember my anniversary? Yeah, that makes way more sense! Man, I used to be SMART. I'll make an anniversary gift for Marge. That way, it's free. All it costs is my time, which is completely worthless. I will not rest until I've made the most amazing, heart-warming gift an anniversary has ever seen. Man, planning to make something is hard work. I think I'll take a rest. I feel like I'm forgetting something. Ah well. I'm sure if it was important, some me would have warned me about it. Modified on April 2, 2018, at 08:15.